Olympic trampolinists are amazing to watch. They have obtained the most prestigious level any aspiring athlete can reach in their career. Olympic athletes come from all walks of life. If you have the commitment and determination to get there, then you may be a candidate. So how do you start your journey to becoming an Olympic trampolinist? 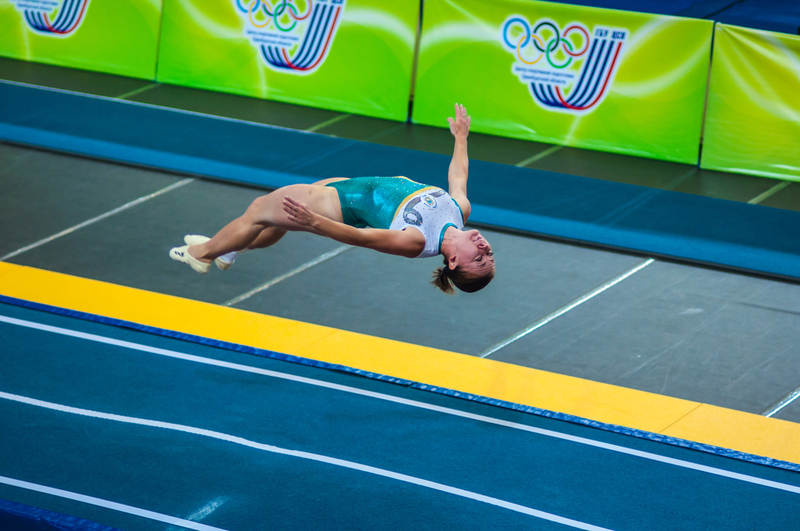 The first thing you need to become an Olympic trampolinist is physical ability. Start by learning the basics with simpler techniques, then learn to execute each move flawlessly, training your body to gain stamina and balance. Working out on a trampoline is good, but you’ll need to do more than that if you want to go for the gold. This means expanding your workout routine into other forms of exercise. Incorporate cardio and weight training with a primary (though not limited) focus on your calves, thighs and core. To build and maintain an athletic body, you must develop a healthy menu, and stick to it every day. It’s essential your intake includes protein and nutrients required to maintain high energy levels, repair and grow muscle, and keep the body functioning as you exercise. Start by searching for a gym that accommodates to, or specialises in, trampoline activity. The facility may be able to help you find a professional trainer. Once you have a trainer on your side, you can begin working toward your first competitions. You must work your way up if you want to prove yourself worthy of competing in the Olympics. Begin by participating in small, local trampoline events, then work your way up to larger tournaments. Not only will this refine your skills, but gain the attention of professionals in the industry who may be able to help you move up the ranks toward the Olympics. If you want to become an Olympic athlete, now is the time to get started. And it begins with having a good quality, professional-grade trampoline at home. Our range is made for champions, and our team know everything there is when it comes to choosing the right trampoline. Browse our catalogue online, or give us a call to chat about giving your professional trampolining career a jump-start.